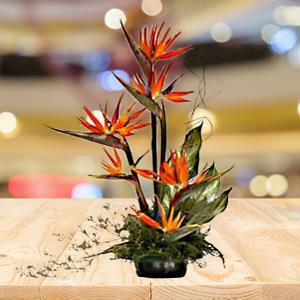 The Birds of Paradise flowers are so called because of their close resemblance to the Bird of Paradise, a bird which is the native of South East Asia and eastern Australia. Gift this beautiful flower to your loved ones in India through RGCards.com. More than one flower blooms on one stem and this arrangement will consist of 3 stems. You can also send other Gifts to India.